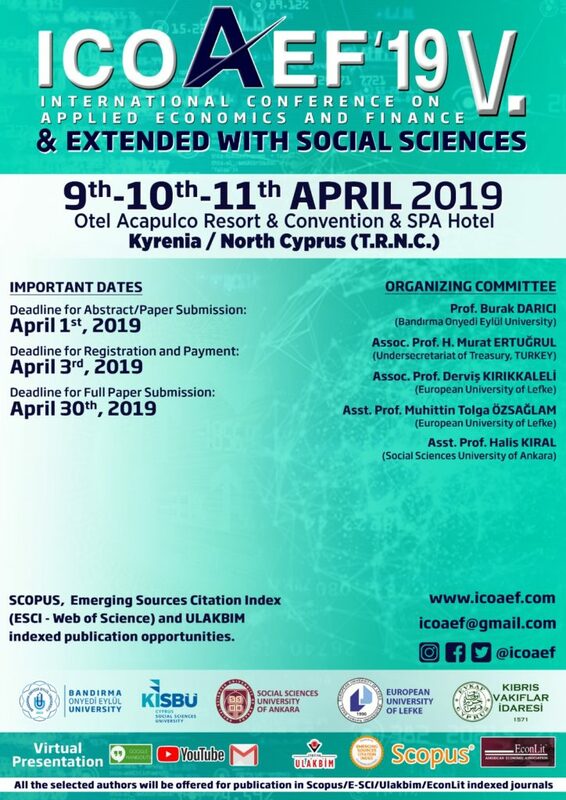 ICOAEF’19 also gives opportunity to publish research papers in SCOPUS, Emerging Sources Citation Index (ESCI – Web of Science) and ULAKBİM indexed journals . ICOAEF’19 will be held on 9th-10th-11th April, 2019 in Acapulco Resort & Convention & SPA, Kyrenia, North Cyprus (T.R.N.C.). 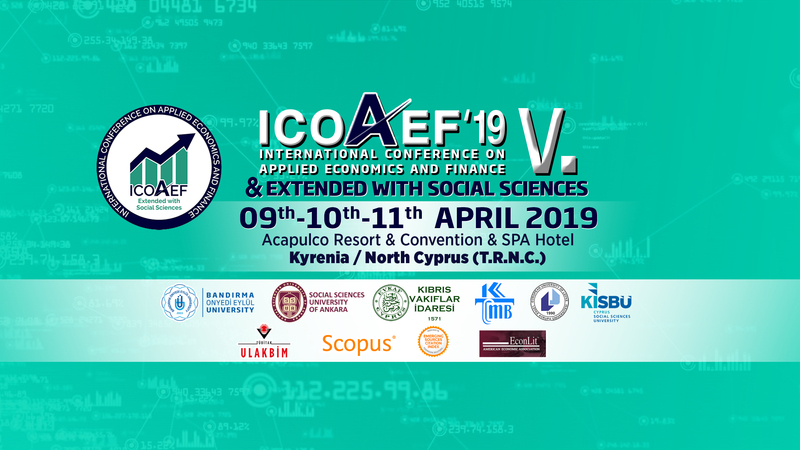 ICOAEF’19 provides an opportunity for all those interested in the Economics, Business, Finance and all the topics related to social sciences to discuss their research and to exchange ideas. 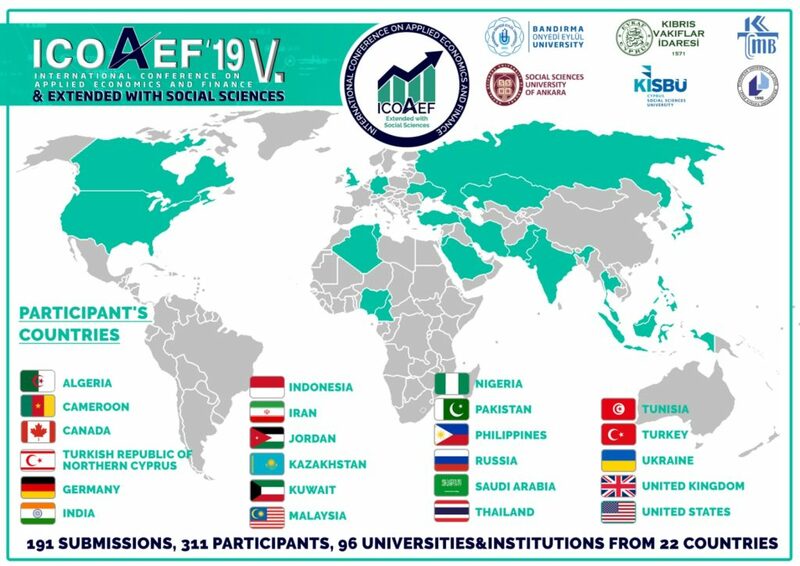 ICOAEF’19 is open to anybody involved in these research areas, including both young and experienced researchers, Ph.D. students, post-doctoral researchers, and professionals from business, government and non-governmental institutions. The language of the abstracts/papers and presentations can be English or Turkish. Participation is possible through oral presentations and virtual/online presentations (by Google Hangouts on air with ICOAEF Youtube channels 01–02–03–04).